Born in Racine, Wisc., and raised in Idaho, Pennsylvania and Illinois, winemaker and winegrower Chris Berg didn’t always know he wanted to make wine. In fact, when he graduated from the University of Kansas in Lawrence with a bachelor’s in English, he wasn’t sure what his future held, as far as a career. Meanwhile his parents, Chuck and Dian Berg, had decided to relocate to Oregon from Illinois with the purchase of a manufacturing company in Tualatin. Chris soon followed and helped his parents at the plant, as well as the other reason for the big move: planting a small vineyard. In 1999, the Bergs planted seven acres of mostly Pinot Noir on the 20-acre property near Yamhill in the Yamhill-Carlton District of the Willamette Valley. Chuck and Dian built a small house on the vineyard, and Chris lived in Portland with his wife, Hilary, also a Jayhawk. 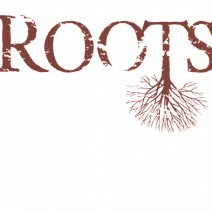 By 2005 vintage Roots Vineyard produced 350 cases. In this same year, Chris also decided to purchase winegrapes from Cherry Grove Vineyard, Apolloni Vineyard (near Banks) and Leroy Vineyard (just outside of Hillsboro). In all, 550 cases were produced for the three labels: Roots, Racine and Klee.